AARONIC BLESSING! 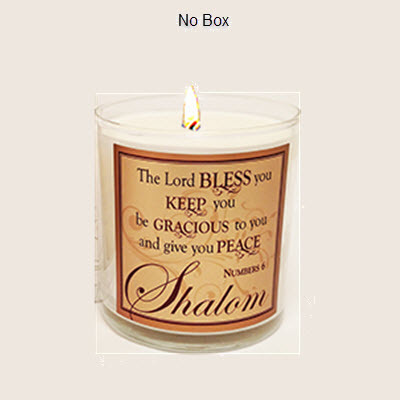 Bless someone special with this impressive candle bearing the scripture from Numbers 6 "The Lord Bless you and keep you the Lord make His face to shine on you and be GRACIOUS to you and give you SHALOM(Peace)". Filled with our custom-blended soy-blend wax formula in Abba's fabulous FRANKINCENSE & MYRRH, this candle speaks of the blessings and favor of the Lord and is a wonderful way to say "THANK YOU" to someone who has touched your life in a special way. Approximate burn time: 26-30 hours, 8.7 oz by volume.